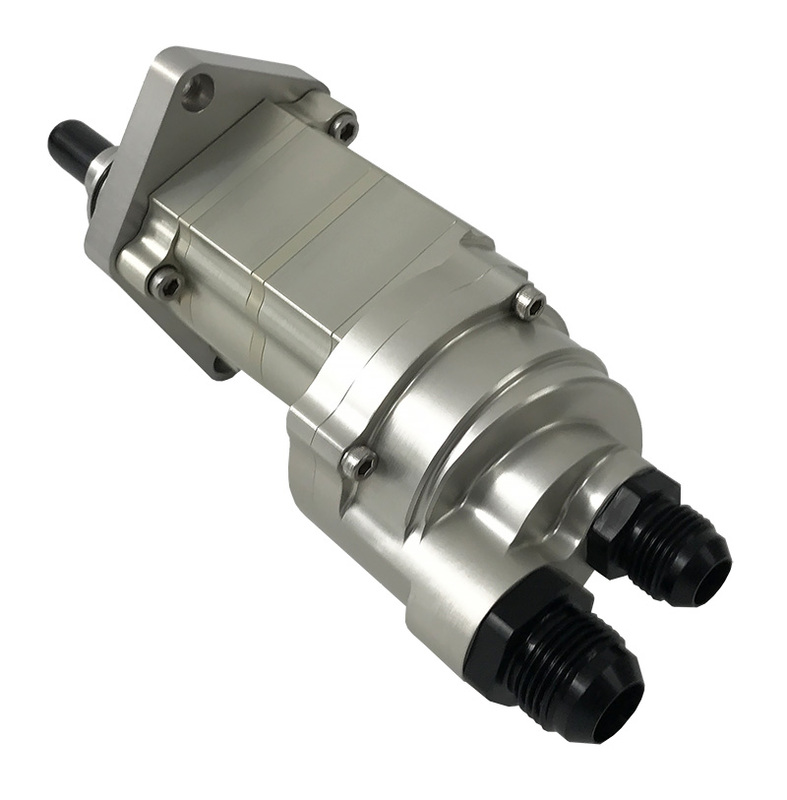 This revolutionary design introduced in 2001 allows this “Small Pump” with a body size of 2.4″ X 2.7″ to match the flow of our full size oil pump. 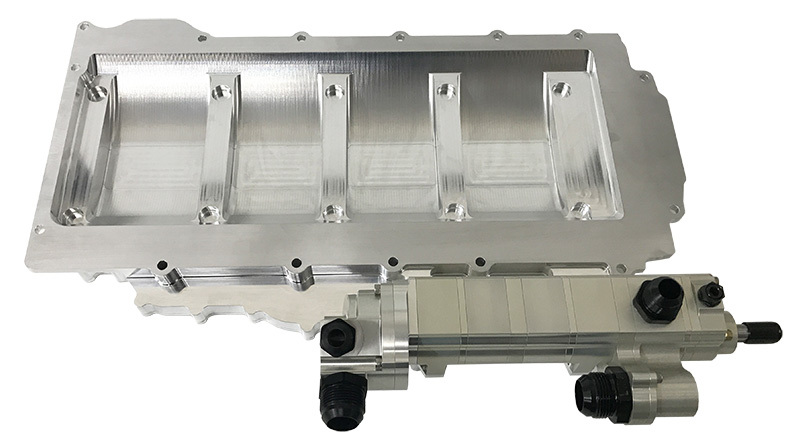 Combined with a weight reduction of 33% from our full size oil pump, we have created a 6 stage NASCAR oil pump that weighs less than 7 lbs and still outperforms other standard full size pumps on the market today. 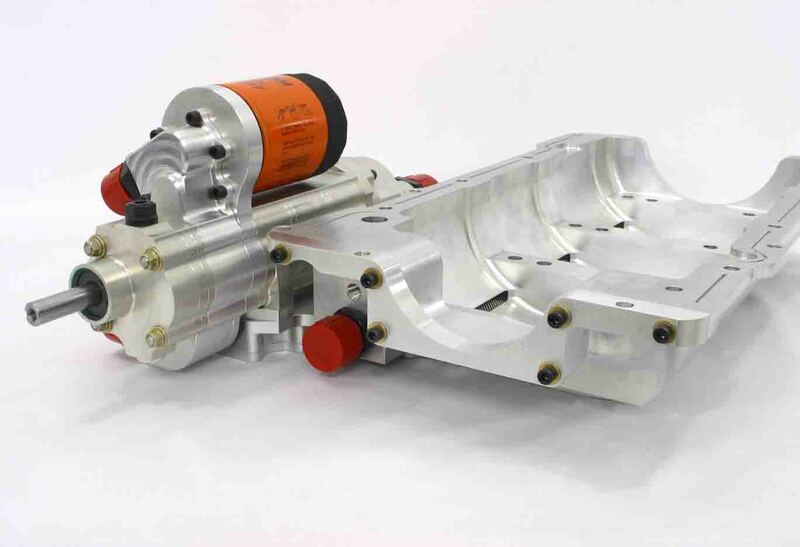 This pump operates at speeds up to 10000 rpm in drag racing applications and 7500 rpm in endurance racing applications. 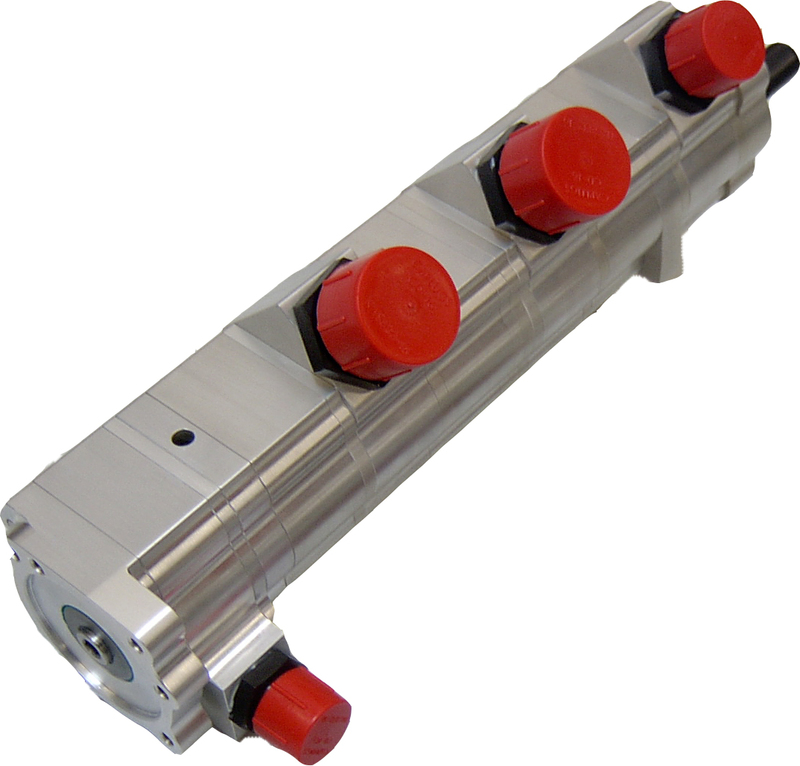 We have over 1000 unique configurations in use today categorized below by the number of stages. 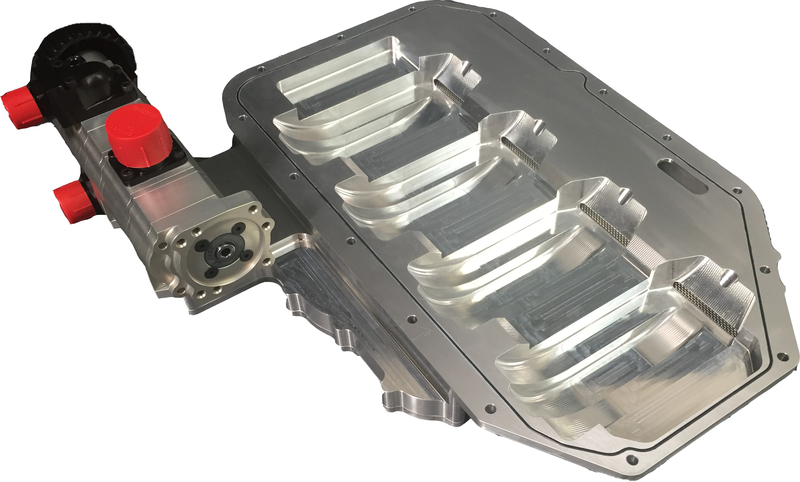 Each part number may have several dash part numbers based on the specifics of each configuration like brackets or fittings that are not shown. One of our “SP Series” oil pumps mounted to a custom oil pan. 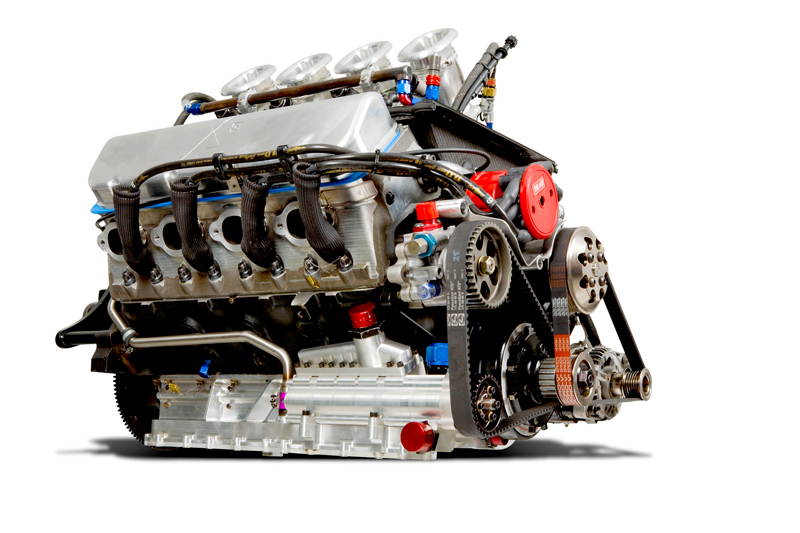 Engine built by KRE for Triple Eight Racing used to dominate in the Australian V8 Supercar Series. 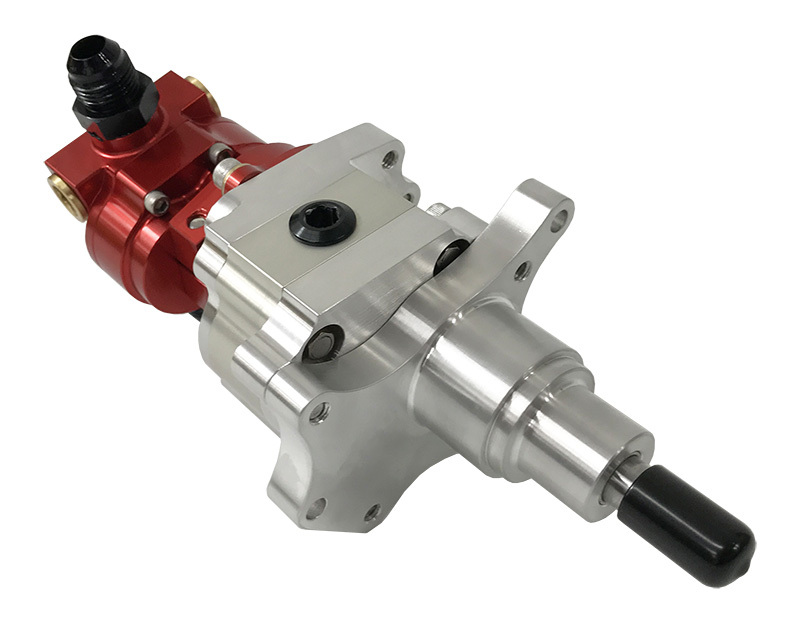 Dailey Engineering offers a rear fuel drive for our small pump. 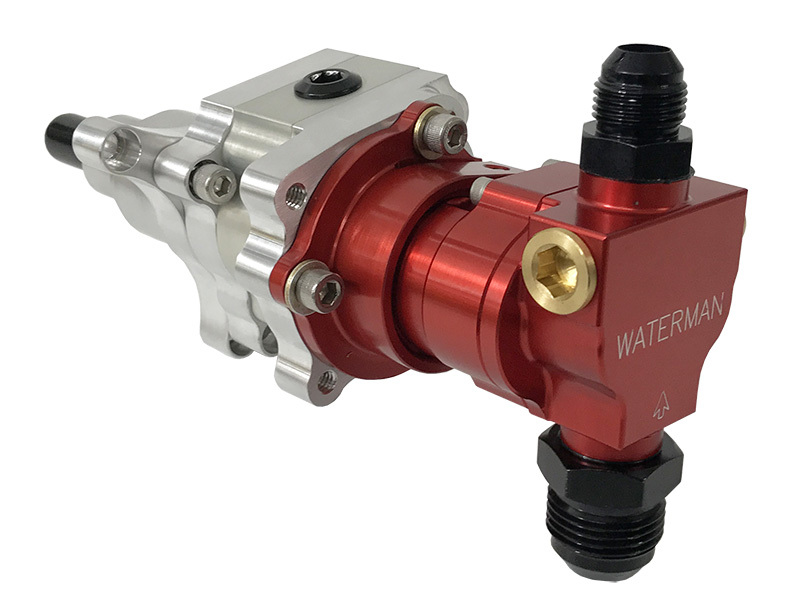 Custom fuel pumps are available from Waterman Racing Products with a 1/4″ hex drive to mount directly on the rear of these pumps. 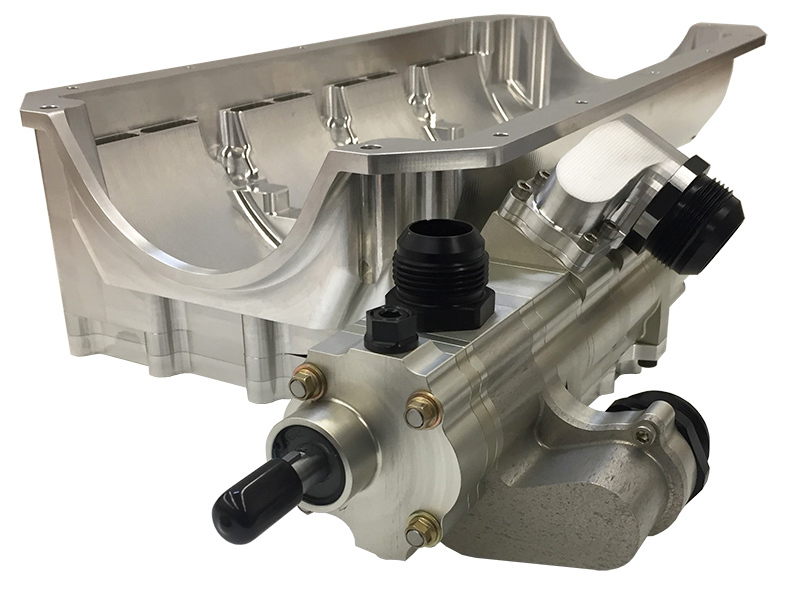 Shown below is a 4 stage dry sump oil pump for a big block Chevy dirt late model application and a 7 stage pan mount dry sump oil pump for a Dodge Viper system. Honda K-20 system with optional fuel pump drive. Honda CBR1000 motorcycle pump with fuel drive. “SP Series” pan mount pump with air/oil separator. 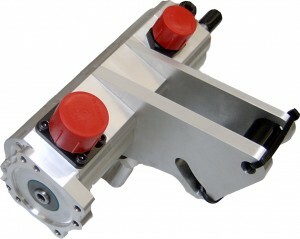 Suzuki GSXR 600 motorcycle pump with air/oil separator. Dailey Engineering can incorporate isolated transfer or pressure sections to most “SP Series” pumps. Ford EcoBoost V6 with optional torque converter pump section. 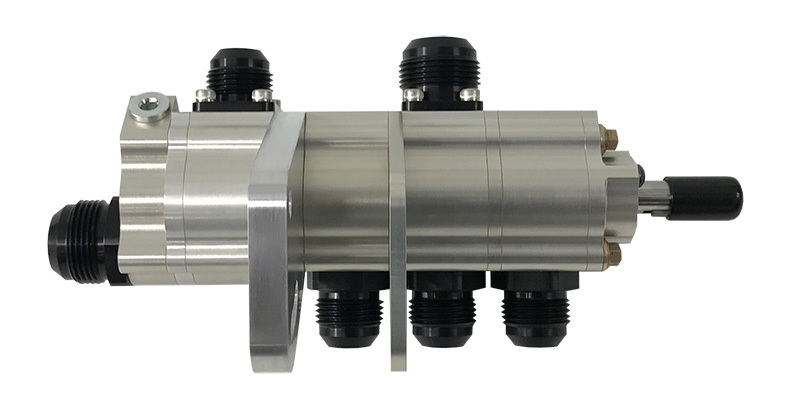 6-Stage “SP Series” NASCAR pump with low profile swivel hose ends for scavenge inlet and manifold outlet. Nissan VQ 35 system shown with integrated oil filter option on pressure housing. 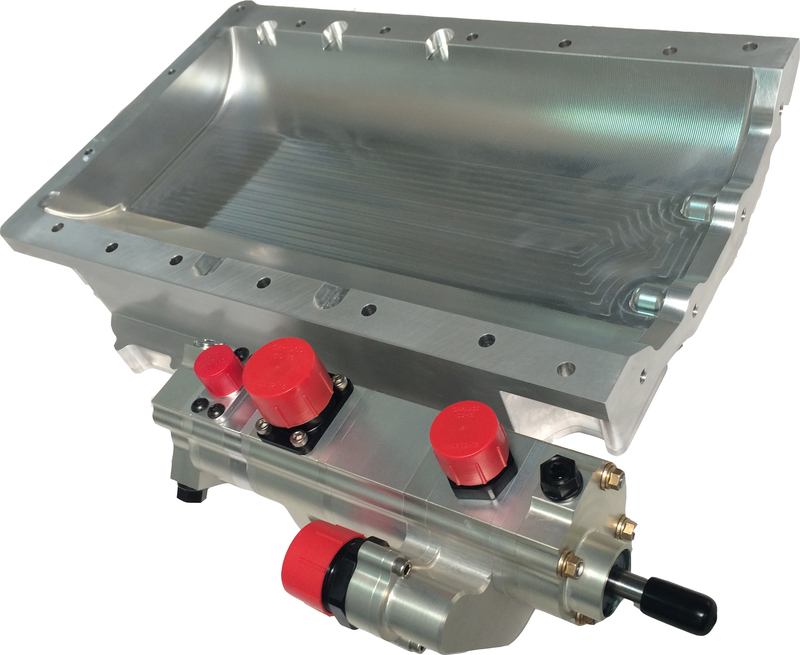 SBC system shown with one of many housing and manifold configuration options.